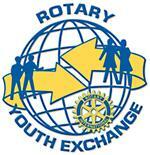 The Rotary Youth Exchange Program builds world peace one young person at a time. The program provides a unique opportunity for young people around the world to experience at first hand the many cultures of a different country, a new way of life and in some instances another language. Often, the friendships they make will be life-long and important in achieving the aims of the exchange - the building of goodwill and understanding between countries. Each year more than 8,000 Rotary Youth Exchange Students spend a full academic year in another country. Australian Rotary Clubs have participated in long term (12 month) exchange since 1958. While the program provides life changing opportunities for students, the benefits for Rotary clubs are not always appreciated. The chance to closely engage with the family of a local student you sponsor is a great opportunity to secure new club members. The school and community connections that develop when you host a student provide vital contacts for your club. Furthermore useful publicity opportunities frequently arise when an exchange student participates in school, club and community activities. The sheer energy of having a student attend weekly club meetings can enhance your club gatherings and revitalise members. The cost to Rotary Clubs of hosting an outbound student is approximately $500. The cost of hosting an inbound student is approximately $2,400 plus attendance at club meetings and events. District 9685 Outbound Student families pay approximately $8,000 plus trips and living expenses for their child to go on exchange.